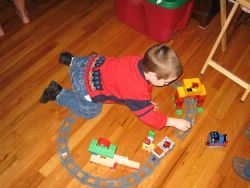 joey is my cousin bridget and her husbad brian's little boy... loves thomas the train. i swear he has a british accent at age four. i am not kidding either.